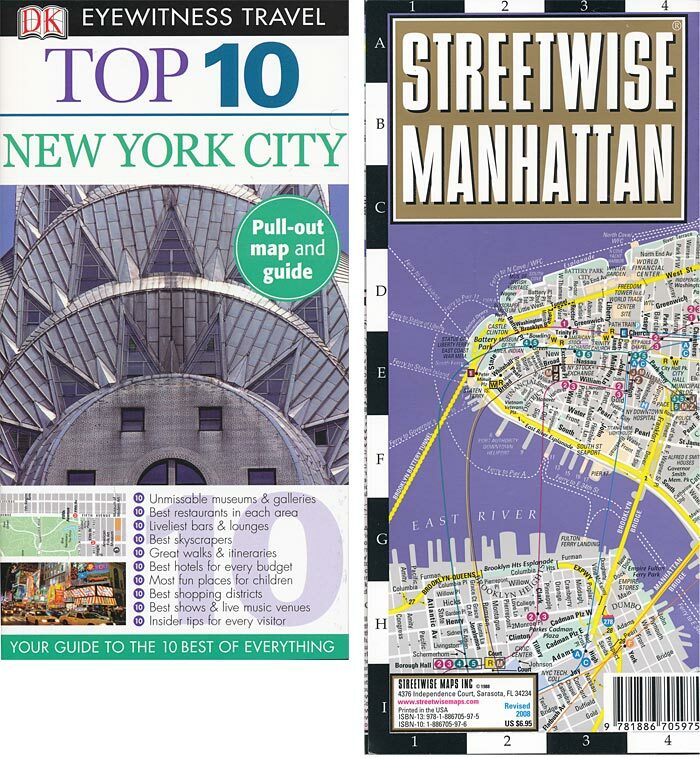 I had the older version of the Top 10 New York by DK Eyewitness Travel. Actually, I have had several copies. Friends kept borrowing it and never gave it back. Since it was only $10, I really couldn’t complain. The new 2009 edition was just released, and I saw it all over Manhattan last weekend. DK raised the price to $14, but added a laminated pull-out map which easily justifies the increase. Let’s say you want to find the top 10 things in Midtown or in Chelsea or the top 10 music venues or bars. You get the idea. Very convenient. Very straight-forward. Streetwise Manhattan is a great laminated map which combines all streets, subways and major venues on the same 2-sided map (half uptown, half downtown). There is also a small dedicated subway map for quick reference. At only $7, it perfect for any briefcase, backpack or camera bag.